One of my most popular products. 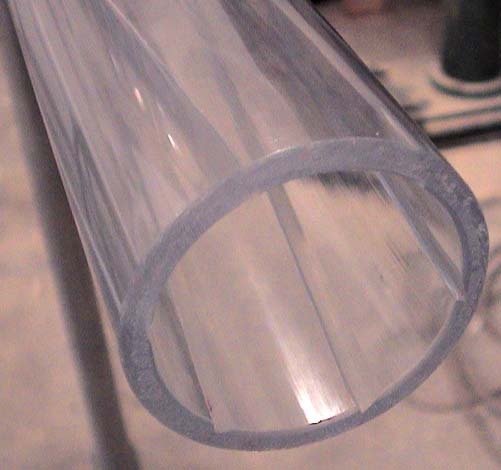 Clear PVC alows the combustion flash to be clearly seen at night. "Lights up like a neon sign." Maximize your night time spudding with a 4 foot 10 inch* length of clear, rifled, SCH 40 PVC barrel. Due to the unique nature of this product it is only offered 4 feet 10 inches* long. Optional muzzle knife at no extra charge.